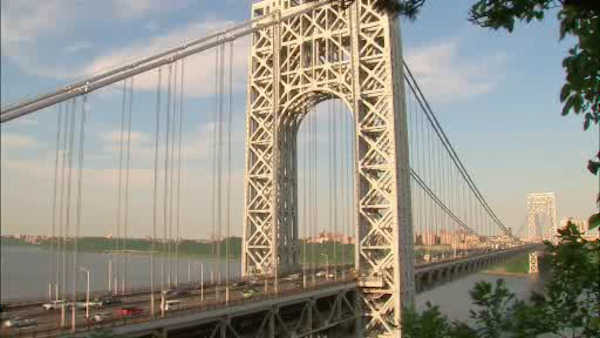 FORT LEE, N.J. (WABC) -- There are lane shutdowns on the George Washington Bridge as the aging span undergoes repairs. Eastbound lanes on the lower level are shut down until 5 a.m. Tuesday. Workers are removing temporary construction platforms. They'll be closed again from 11 p.m. Friday until 8 a.m. on Saturday. Similar closures are expected through mid-October.